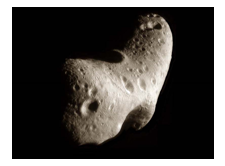 As House Science, Space, and Technology Committee Chairman, I have called a hearing for tomorrow afternoon titled Threats from Space: A Review of U.S. Government Efforts to Track and Mitigate Asteroids and Meteors, Part 1 at 2:00 p.m. in 2318 Rayburn House Office Building. The meteor that struck Russia was estimated to be 17 meters, and wasn’t tracked at all. The smaller they are, the harder they are to spot, and yet they can be life-threatening. Some space challenges require innovation, commitment and diligence. This is one of them. Examining and exploring ways to protect the Earth from asteroids and meteors is a priority for the American people and should be a priority for NASA. Witness testimony will cover the ongoing work, planned efforts and coordination procedures within NASA, the White House Office of Science and Technology Policy, and the U.S. Air Force Space Command to detect and track Near Earth Objects (NEO) like the asteroid and meteor from last month. The Committee will also examine our contingency and mitigation efforts in the case that a NEO poses a threat to Earth. WEDNESDAY, March 6 at 2:00 p.m. Hearing information and the live video feed will be available on the Committee website HERE.